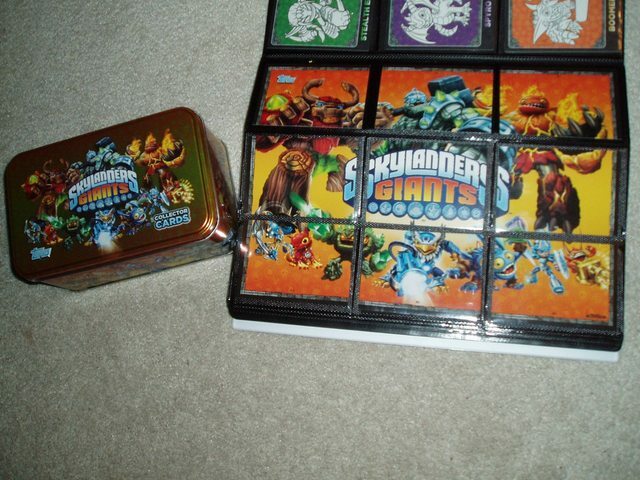 darkSpyro - Spyro and Skylanders Forum - Skylanders Toys and Merchandise - Trading cards today, CAN WE GET A STICKY? 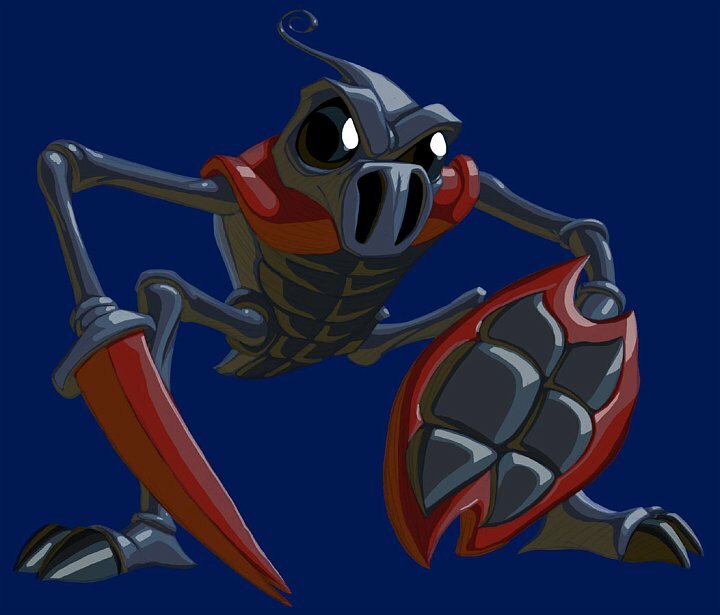 darkSpyro - Spyro and Skylanders Forum > Skylanders Toys and Merchandise > Trading cards today, CAN WE GET A STICKY? Just finished off the Giants! My list of haves and needs. From Tacoma, WA if anyone locally wants to do some trades. ** Cards that are italicized means I'm currently in trade to get and I don't necessarily need them. #125 Zap, #135 Hot Dog, #138 Drobot, #139 Trigger Happy, #140 Cynder, #144 Sonic Boom, #146 Lightning Rod, #151 Shroomboom and #162 LC Chill. I've got a pretty good number of extras for a lot of cards, so just ask me and I can let you know. EDIT: Jan 6th. Currently in trades with a few people. The cards that are italicized are the ones that I'm currently in the process of trading. Once I receive the cards, I'll remove them from this post. EDIT: Jan 7th. Bought a few packs of cards and got a few I needed. EDIT: Jan 10th. Got some trades in! Thanks guys. Updating my list as well. EDIT: Jan 12th. Got some more packs of cards and got a few new ones. Updating the list. EDIT: Jan 14th. Sent some cards out yesterday, got one more today. Thanks so much to everyone I've traded with! EDIT: Jan 17th. Got some more cards today. Thanks to everyone who traded with me! Hi guys. Basically i have traded on hear before, so now that i only need the 9, ill trade heavy for one card if you need it and a bunch of screenshots will help you out. if anyone has a tree rex they want to get rid of, send me a list of foils you need. i dont mind trading heavily. also i have traded here before. Interested in buying cards from my WANTED list as well. PM me details. If we can all post by number horizontally it makes it easy to read multiple lists on the same page. Don't repost your lists just edit your original ones and post a list updated note. Put a date on the original post so we know what the status is. Long vertical posts just take up room. I have been a huge fan of toys all my life. A hobby of mine is photography of toys. So I have a question on these. I picked up some cards from TRU that included the foil cards. They are sitting in my closet in the book that came with them, either waiting for more to be had or... waiting to be sent to a home where they will be enjoyed. Now, my question is are they easy to find/collect without breaking my wallet even more? Bazinga, basically youre going to throw a couple hundred dollars out the window to get 95% done. Then you will be in the same position I am in; needing 12 foil cards and having a couple hundred doubles triples and then some. So if you can find a way to buy a complete set from some one that has tons of doubles go that route. However for the first 20-30 packs you buy youll get only a few doubles. Then it will hit you, oh i need to buy 20 packs to get 4 cards you need. Thats actually why we are scrambling to trade cards because Im done buying cards. My boys have a almost a full third set of cards that we dont need but i use them to trade for the ones we do. Its fun but gets old at the end. I used to collect baseball cards when I was little. This kind of reminds me of it. I think I would enjoy it, but not so much at the end. So just to make sure we are talking about the same thing. The thing that I bought was the pack at TRU that came with a foil card and one or two packs of cards, I just want to make sure that when I make my final decision I make an informed one. PS Finnsllc I am going to send you a PM. I agree with Finn. It gets troublesome at the end, but I guess that's how they make their money. I need 14 cards to complete a set, but soon it should be 11 if this latest trade I am doing goes through. It will be 9, if the other person lets me know he mailed his off. It is definitely easier and time and money saving, to trade if you can. Yeah, I to this day have a set of Basketball cards sitting at my parents house that is missing the Tim Duncan rookie card. I bet I dropped 300-400 dollars in extra packs looking for that card. Which I could/should probably pick up on ebay for next to nothing as the card market is not what it used to be. I do not. I am just getting into this. I did order a pack with my ebay bucks to come in. If I do end up with any doubles I will let you guys know here. GM, what dupes of the dog tags do you have? Would you be willing to trade for cards? Alright, So I started my collection of these. I got some of the fat packs from TRU they are on sale for 5.84 or something like that this week. PM if you need any of those, I am to willing to trade. Best find of the day was the color stealth elf. I have a question on the puzzle cards. I have two of the cards that look like they go in the lower right corner of the puzzle. It has Chop Chop, Hot Dog, and Prism break on the cards. On the other side of one of the cards is Wrecking ball and on the other side of one is Swarm. One of the cards is number A3 and one is numbered b3. Is this correct or did I get an error on one of my cards? Getting ready to PM you. I need 139 and I have a bunch if doubles. Link in my sig. I just checked my puzzle cards. The ones you have aren't errors. There are two different puzzles. One with 'A' pieces and one with 'B' pieces. You just got the same number card from each puzzle. :-) each puzzle has 9 pieces. Okay, I just thought it was weird that they used the same pic on each puzzle. I've completed the set with the TRU GTIDs and Legendaries, along with Master Eon. I never traded on this site, though I did a fair bit of buying/selling with someone on eBay by the name of uutennis or something like that. Nice guy. Any cards traded will be mailed in plastic card protectors. Looking for GITD fright rider. Puzzle Cards I have are A1 A3 AND A4 B1 B2 AND B3. Also for the legendary cards the L1-8 or 9 are those only available in the packs at TRU that come with one? Or are they rare in packs also? Same with the Glow in the dark cards, in packs or the one with the books? My updated list!.....PM if your interested in trading please. The Legendary and GITD cards are only available in the packs at TRU. You have to buy two books to get all of them, but there isn't any guess work involved. One book has the first part of the set and the other has the second part. The TRU near me still has some in stock. They are 9.99. The set includes the book, 4 legendary cards (either the first or second set), 3 GITD cards, and one or two regular packs. Hmm I must have misplaced one of the glow in the darks as I only have Stumpy, Trigger Happy and Spyro. I will have to pick the other one up sometime then. As you can see one side is the same and the other is different. Okay... Thanks for the info. Why not make another puzzle? people are actually buying these things? LOL. Heaven forbid people collect things they enjoy! The horror! Good to hear that they arrived. On another note anyone know how I can get the Legendary and Glow in the dark cards? There are some on ebay but they want like $60 to ship here. 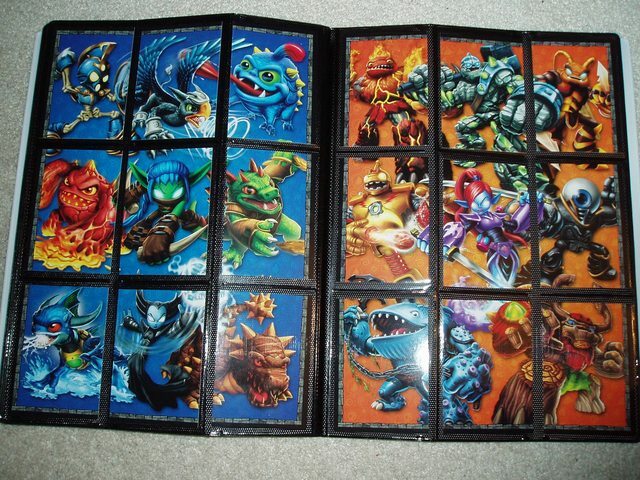 Wait, haven't been really interested in the cards, but is the binder with Master Eon rare? I don't think it's rare, but I think it is EU only. longsh0t is a good trader. Just completed a trade with him. Probably goes without saying, but Kesrael gets 2 thumbs up from me. Cards came very well protected and very quickly! Color cards I need C4. Are their only 6 of these? I have 5 of them. If you need any of these let me know. Please don't double post your lists. Just edit the original. Also please post lists horizontally.